Actual Sonic Voodoo doll will differ than the above examples depending on the mental condition of the patient(s) working on the product and the amount of medication that was required to subdue them. Drool not included. THIS MERCHANDISE WILL BE AVAILABLE SOON. PLEASE SIGN THE MAILING LIST TO BE NOTIFIED OF UPDATES. "My psychiatrist told me I was crazy and I said I want a second opinion. He said okay, you're ugly too." The new CD from Sonic Voodoo is now available for purchase! Six years in the creation, "Project: Four Track Mind" features nine mind-numbing audio presentations created by warp generation techniques and groove manipulation experiments. Coming soon to CD: ? !th Anniversary Edition of "Project: Steel Slab". 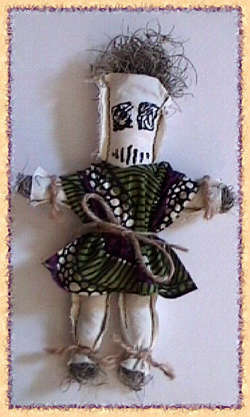 - Swamp Studio digital audio tape [DAT] of "Voodoo Slab Dance"
stay tuned to sonicvoodoo.com for the progressional update of experiment results release date. wild mutant hippies during "Project: 7th Generation." Excessive Force - Ripperhed - Grasshopper - SH! the Mad Dog Mental Institution conducted many experiments during the investigations uncovering the strange phenomenon occurring in the genetic food chain. Many tribes of wild mutant hippies were utilized as test subjects, but most of the results were thought destroyed in an industrial gardening "accident". Fortunately, the Mad Scientist and Witch Doctor have "found" duplicate files of the experiments, and a decision has been made to continue with the researh of another creation in distorted dimension, otherwise known as "Project: A.C.I.D.D. I Test Phase". keep Codename: SONIC VOODOO busy for a long time. Moon Flour [i. Qualuuude / ii. Far Outland / iii. Suicidal Groove] Additional experiments are unknown or unrevealed at this point in time. What happens when the Mad Dog Mental Institution opens it's doors and lets anyone conduct experiments with Codename: SONIC VOODOO? We don't know, either!! But that won't stop the Mad Scientist and Witch Doctor from inviting anyone and everyone into Jungle Bob's Party Time Lounge or the mobile laboratory of the Shotgun Shack to take a shot at mixing volatile chemical reactions with warp generated brain droppings. Contact Sonic Voodoo now to be involved with this one! Additional experiments are unknown or unrevealed at this point in time. led by King Kron, ruler of Uranus.